Bear Grylls is one of Britain’s most Notable, and Youngest Adventurers. He is an Author, Television Presenter and Motivational Speaker. Every year the death toll on Mount Everest rises, and for every ten mountaineers who make it to the top, one will die. Yet at 7.22am on May 26th 1998, Bear Grylls entered The Guinness Book of Records as the youngest, and one of only around thirty, British climbers to have successfully climbed Everest and returned alive. He was only 23 years old. 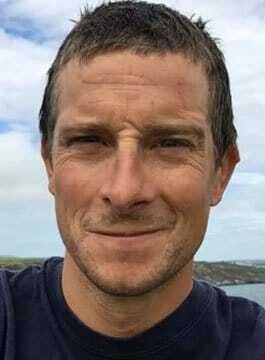 The actual ascent took Bear Grylls over ninety days of extreme weather, limited sleep and running out of oxygen deep inside the ‘death zone’ (above 26,000 feet). On the way down from his first reconnaissance climb, Bear was almost killed in a crevasse at 19,000 feet. The ice cracked and the ground disappeared beneath him, he was knocked unconscious and came to swinging on the end of a rope. His team-mate and that rope saved his life. The expedition was raising funds for the Rainbow Trust and Great Ormond Street Children’s Hospital. Previously, in 1997, Bear Grylls had become the Youngest Briton to climb Mount Ama Dablam in the Himalayas (22,500 feet), a peak once described by Sir Edmund Hillary as unclimbable’. Prior to the Everest Expedition, Bear Grylls, also a Karate Black Belt, spent three years with the British Special Air Service (21 SAS). What makes his story even more remarkable is that during this time he suffered a free-fall parachuting accident in Africa where he broke his back in three places. After months and months of rehabilitation, focusing always on his childhood dream of Everest, he slowly became strong enough to attempt the ultimate ascent of the world’s highest peak. Bear Grylls has a natural talent for communication and his speaking and TV shows have brought him worldwide acclaim. As a motivational speaker, he has addressed corporations all around the world on his experiences on Everest and how these can help us in our life and business environments. He is among the youngest and most successful speakers in the world. Bear’s first book, ‘Facing Up’, went into the top-10 best seller list, and was launched in the USA titled, ‘The Kid who climbed Everest’. Worldwide, this book has touched people through its enduring honesty, courage and humility. Bear has always been a popular guest on television shows, which have included, amongst many others, the Oprah Show and Jay leno’s Tonight show in the USA and in the UK: BBC’s’: Friday night with Jonathon Ross, Heaven and Earth, Ready Steady Cook, Richard & Judy, GMTV, and radio programmes such as Radio 1, Radio 2 & Five Live. Bear’s first TV break came when he was approached to star in a ‘Sure For Men’ deodorant TV commercial (Rexona, worldwide). This featured the story of Bear’s Everest climb and what makes him most nervous! The advert was awarded campaign of the week on its release. In 2003, Bear successfully completed another ground breaking expedition, leading a team across the freezing North Atlantic Arctic Ocean in a small open rigid inflatable boat. Suffering weeks of frozen spray and icebergs, the expedition was filmed for a documentary, and was raising funds for the Prince’s Trust charity. The book on this remarkable journey, ‘Facing the Frozen Ocean’, and was short-listed as Sports Book of the Year, and Bear was awarded an Honorary commission in the Royal Navy for this record-breaking feat. Bear was also used by the UK Ministry of Defence to head the Army’s anti-drugs TV campaign, and featured in the first ever major advertising campaign for the world renowned shop: Harrods. His first major TV Series was for Channel Four, called ‘Escape to the Legion’, where he went through simulated basic training with Legionaires in North Africa and told the story of what it is like for a recruit to join the French Foreign Legion. On the back of the success of the Foreign Legion Documentary, Bear was commissioned to present 15 x 1-hour programmes for a TV Series called ‘Man Vs Wild’ on Discovery Channel Worldwide, plus also an 8-part TV Series for Channel Four titled ‘Born Survivor: Bear Grylls’. These feature Bear being parachuted in to some of the most inhospitable deserts, jungles and mountains on earth and showing what you need to do to survive! The show went on to become the No. 1 cable show in all of America. The book accompanying the Series stayed for 10 weeks in the Sunday Times Bestseller List. In 2007, Bear Grylls became the first man to fly a powered paraglider to a height above Mount Everest in the Himalaya. Sponsored by GKN, the team raised over $1million in the process for Global Angels and children’s charities worldwide. Where he talks about the human bonds that tie people together when the chips are really down. About what it really means to have your life depending on a slender rope between you and your team-mate. The ability to work together under such harrowing conditions as 28,000 ft above sea-level, in -40o celcius. And how crucial a role honesty, integrity and trust plays when your lives hang precariously in the balance. A realisation that the qualities needed for effective leadership can be learnt. That real leader’s inspire a feel-good factor around them; you want to be with them regardless. That we all perform better when we are appreciated and encouraged and valued. That leader’s think bigger, and differently. They inspire those around them to go that little bit further, to perform that little bit better, and feel that little bit stronger. Bear has lead numerous expeditions now and shares the keys to his success – bringing the best out of the people whose lives are in the balance with him. His story is of leadership put to the ultimate test. Bear is only too aware that an effective team on a high mountain relies on honest communication. Having a shared purpose, a culture of can-do and want-to; rather than politics or one-up-man-ship. Encouraging faith in each other, encouraging trust, and an ability to share weaknesses as well as strengths. An awareness that vulnerability creates bonds, and where there are bonds there is strength. A determination to make it together, where humility is a virtue and kindness matters. That we all have our own Everest’s in our lives. Bear’s story is really about applying those simple qualities that kept him alive and that helped him become one of the few, or as is often said, “one of the ‘lucky’ on Everest.” It’s a story about knowing that the harder we try and the more of our heart we put into things, the luckier we all become. It is about not being afraid to be close to those around you, and each of our ability to make a positive difference. That each of us is special and have that strength to reach our own summits. If Bear made it to the top of the physical world, despite the horrendous odds, statistics, pitfalls, and even a broken back in three places only two years earlier…then we too can reach the highest peaks in our lives. "It was extremely interesting and very poignant, so many things that the lay person is not aware of in achieving such amazing goals. Our guests found it fascinating and made reference to it time and time again during conversations yesterday." "He was really effective on the night, spoke about the strength od a well functioning team and the ability to achieve what seems to be impossible dreams with motivation, clarity of objectives and support. He went down really well with our key leaders and managers (125) who were without exception mesmerised so I can recommend him for similar conferences." Bear Gryll's talk stands out as the highlight of the conference - so sincere, so amazing, an inspiration to us all in all parts of our lives... an ordinary person with that big bit 'extra', as he would say!